If you are ever thinking what accessories to wear, this season gold is number 1. I don't think you would see me these days with something that is a different colour. My jewellery collection is filling up with gold pieces. It just suits everything, especially the watch. so I chose one from River Island. 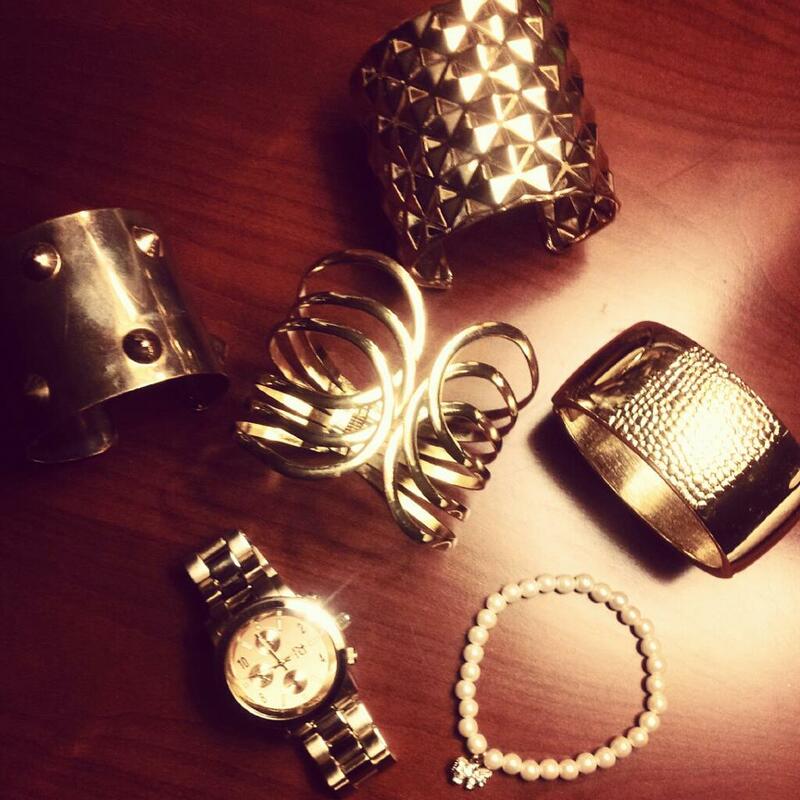 The rest of the bangles are from h&m, Diva, Stradivarius and Forever21. Jo jo gal biskeli per brangu Micheal Kors kol kas :D o sitas irgi grazus!